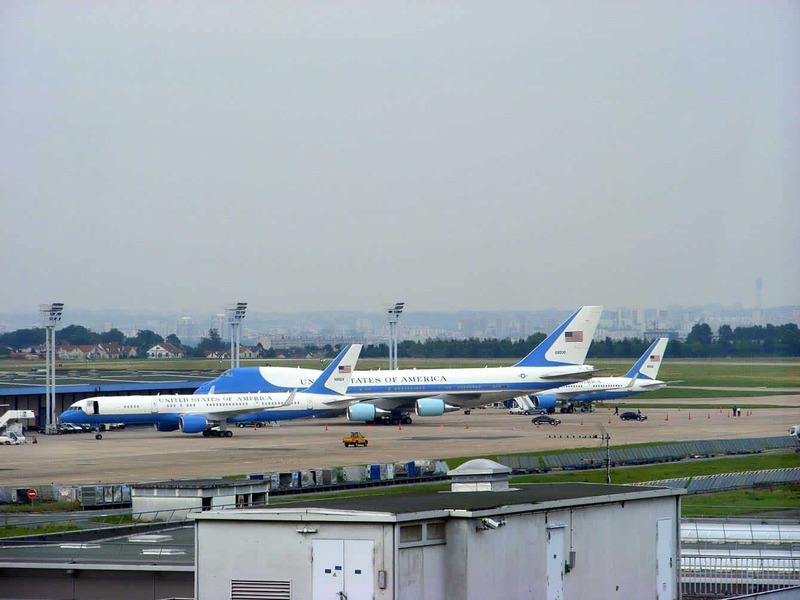 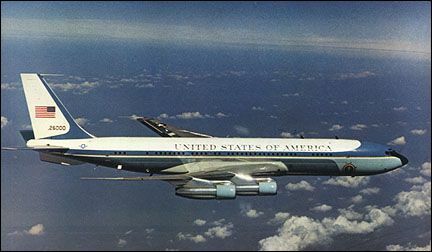 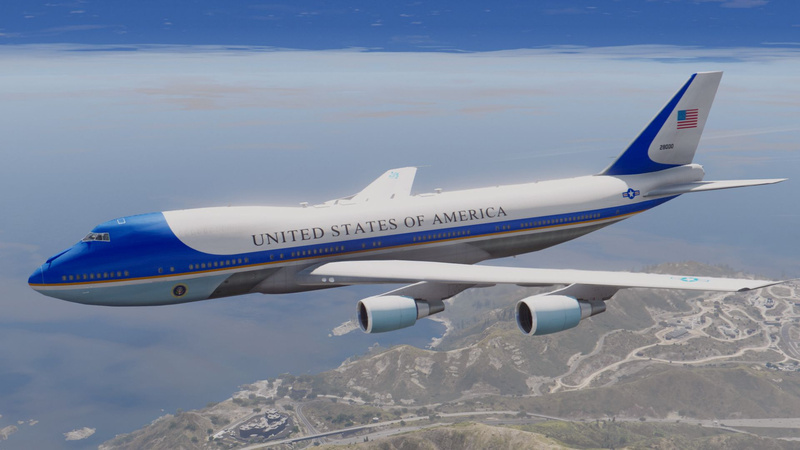 The idea of designating specific military aircraft to transport the President arose in 1943, when officials of the United States Army Air Forces, the predecessor to the U. S. Air Force, became concerned over the reliance on commercial airlines to transport the president. 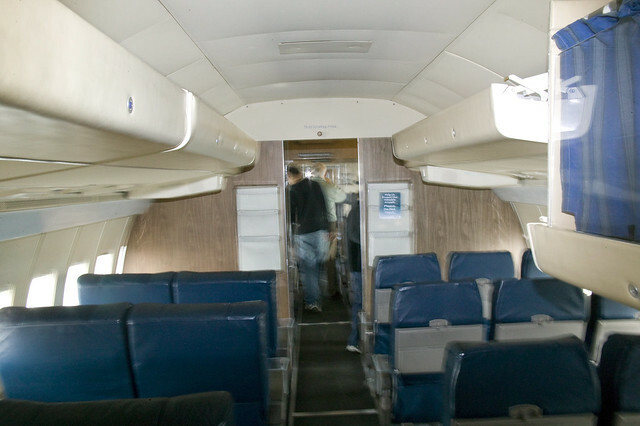 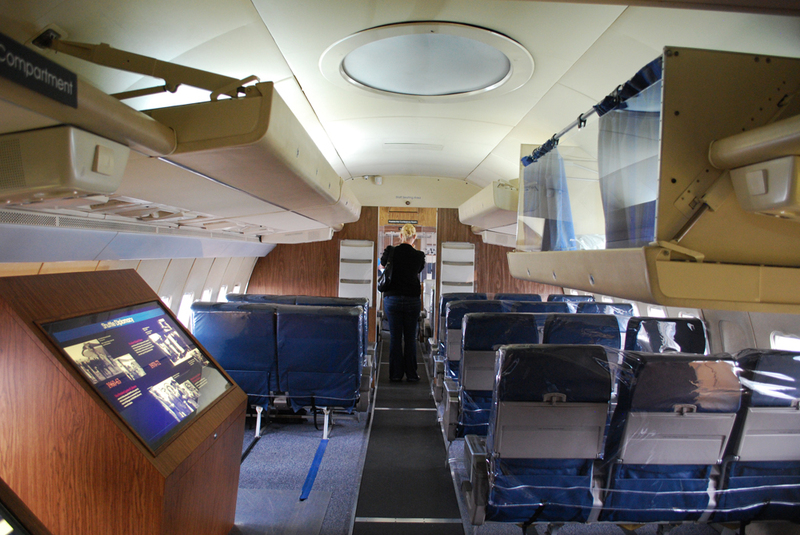 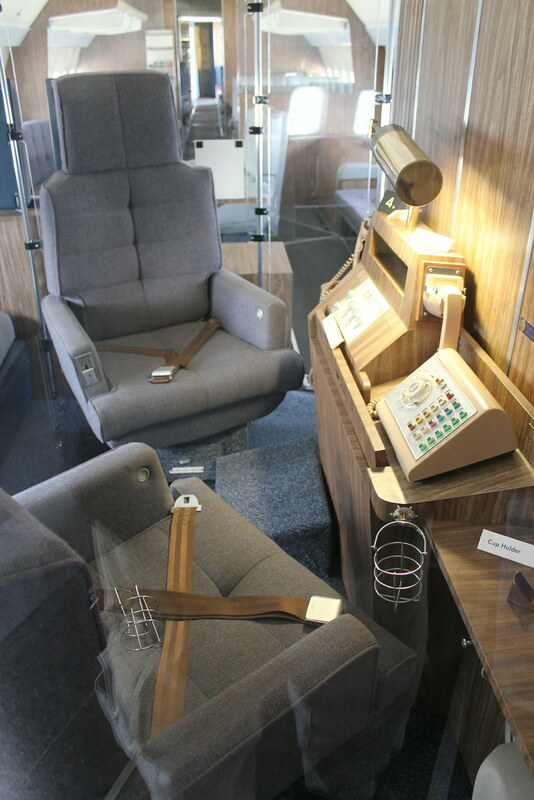 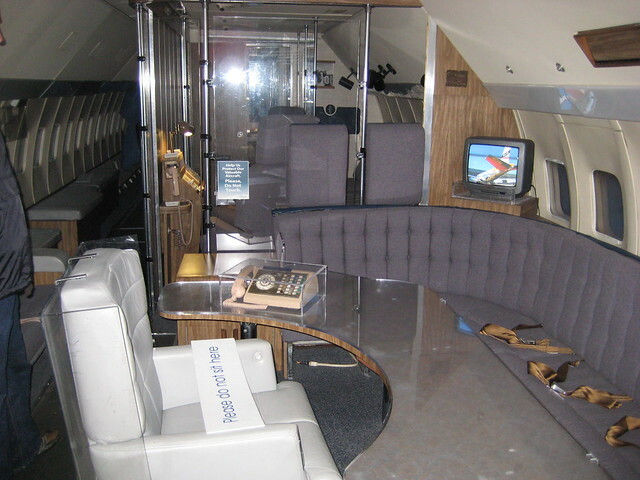 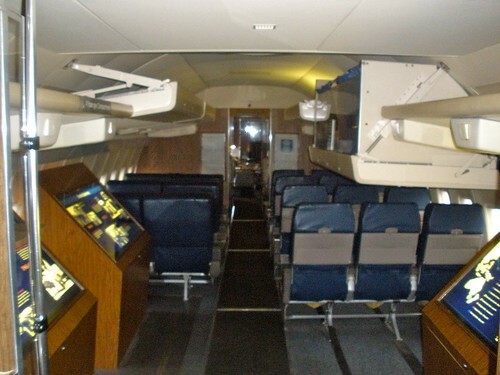 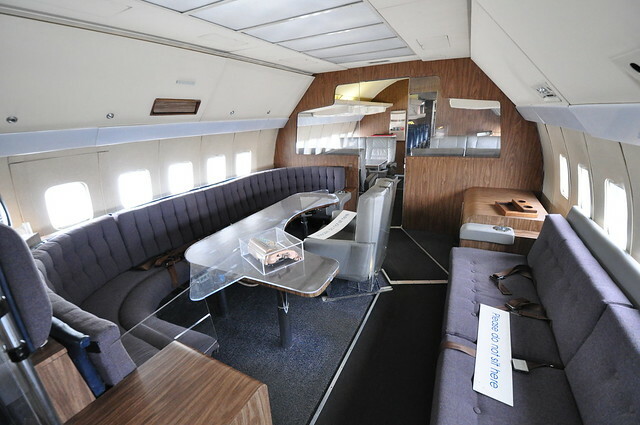 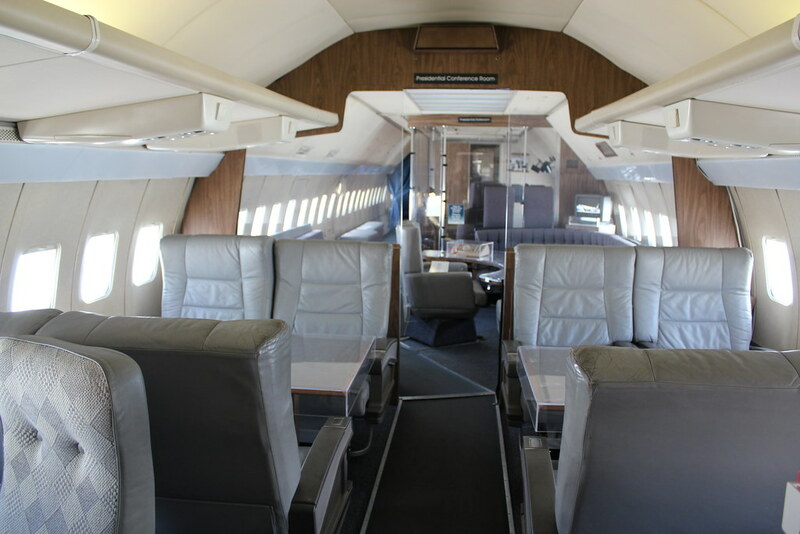 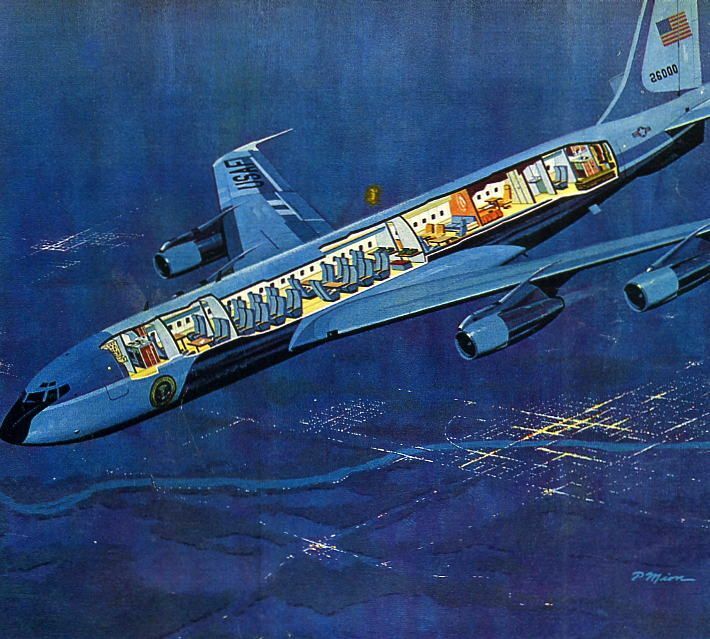 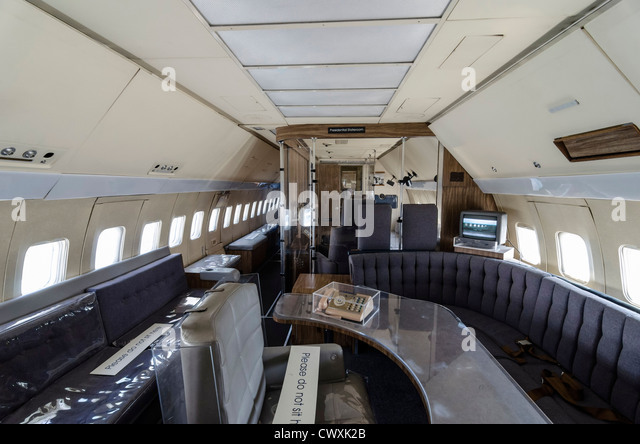 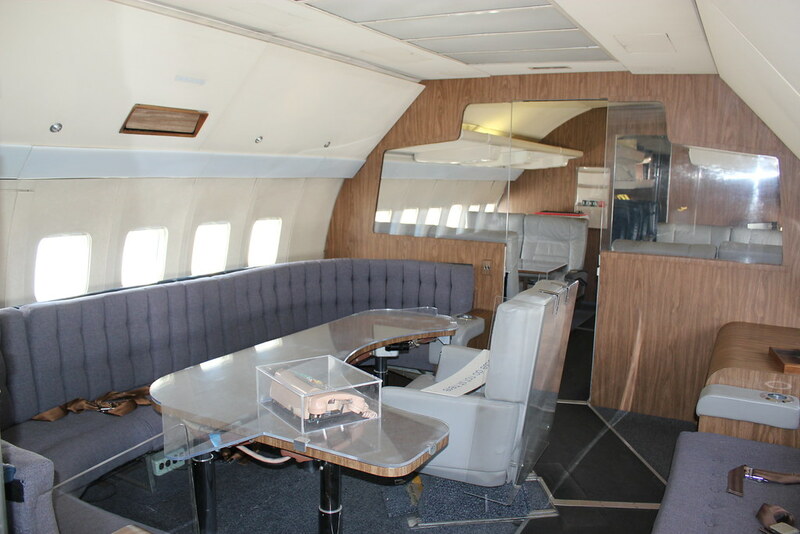 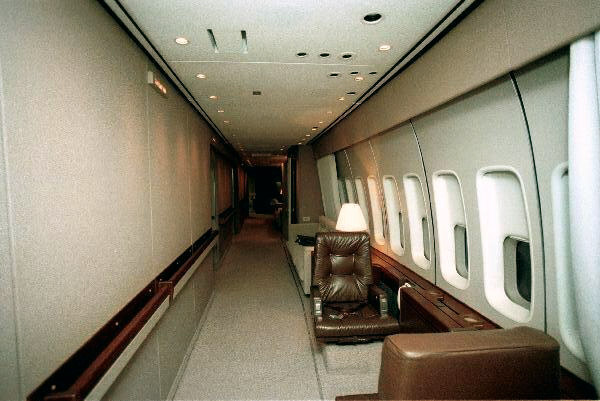 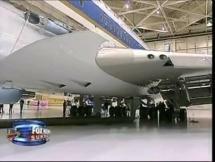 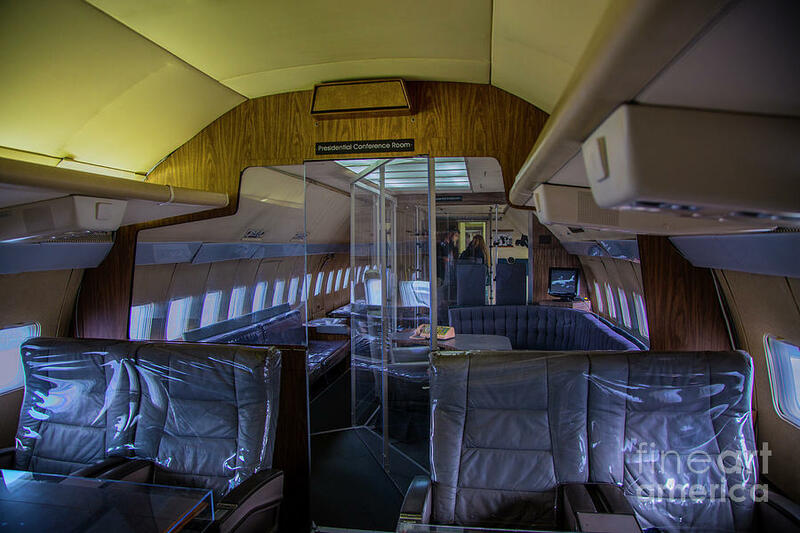 A C-87 Liberator Express was reconfigured for use as the first dedicated VIP and presidential transport aircraft and named Guess Where II, but the Secret Service rejected it because of its safety record. 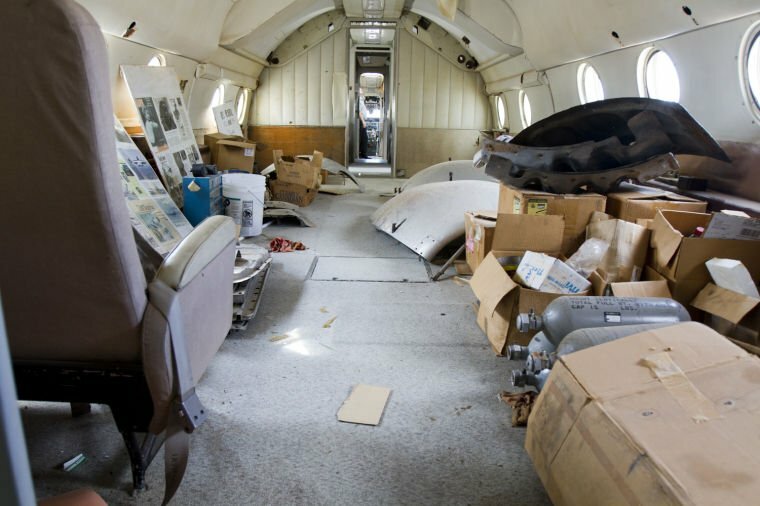 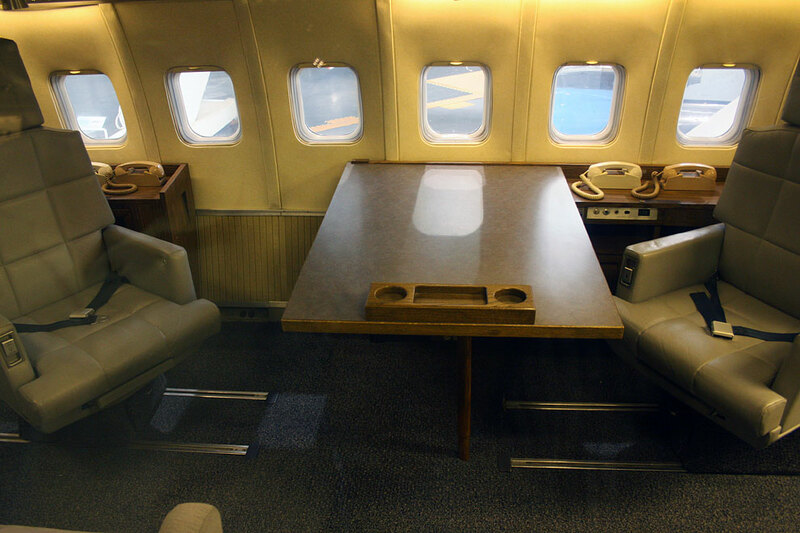 A C-54 Skymaster was then converted for presidential use; this aircraft, dubbed the Sacred Cow, carried President Franklin D. Roosevelt to the Yalta Conference in February 1945 and was subsequently used for another two years by President Harry S. Truman. 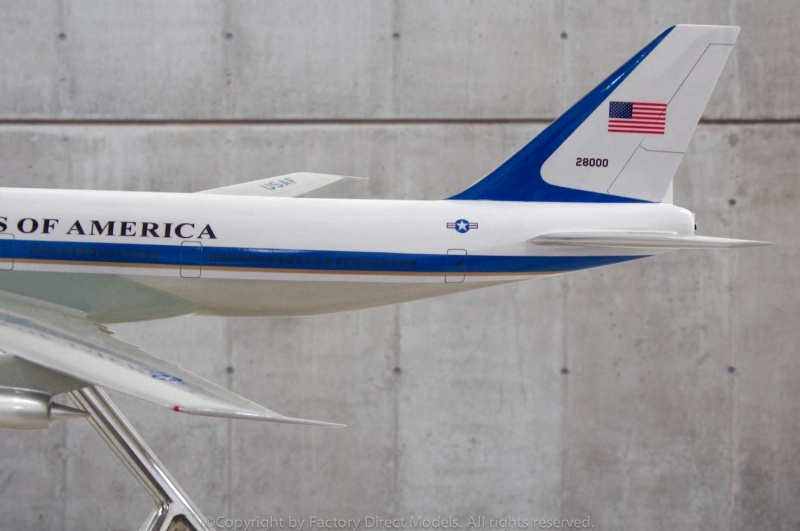 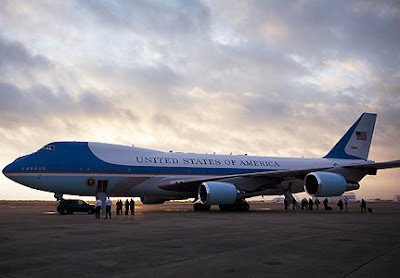 Air Force One @ The Museum of Flight | Flickr - Photo Sharing! 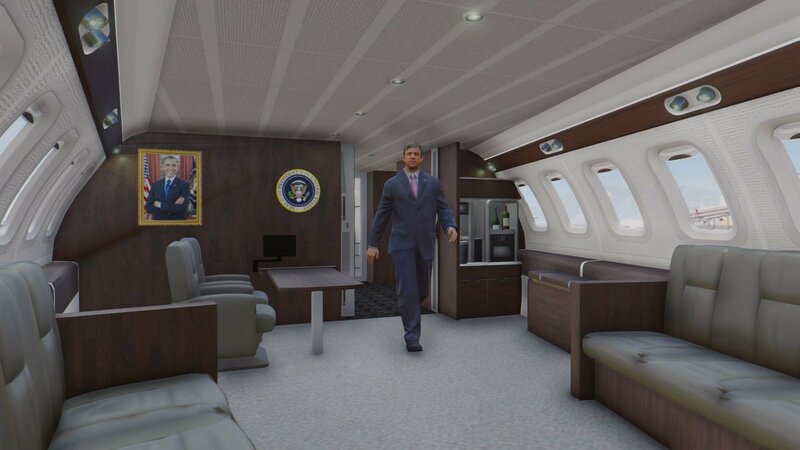 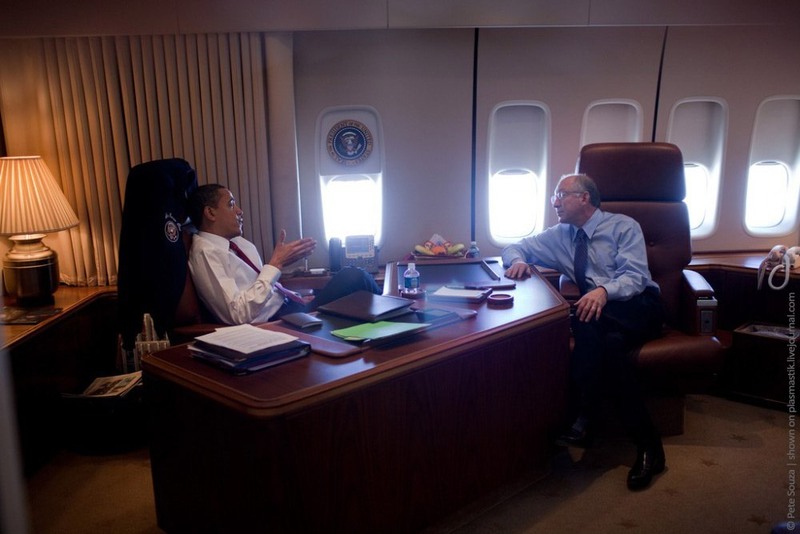 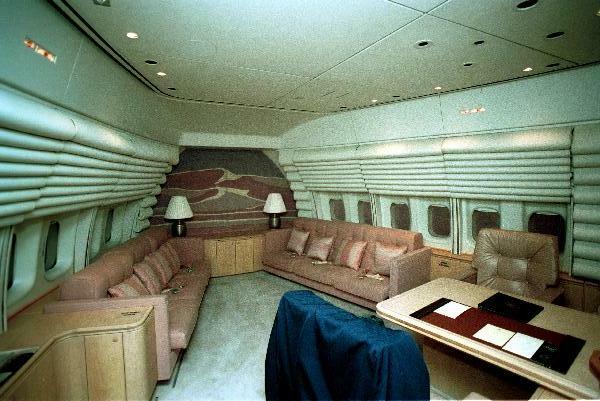 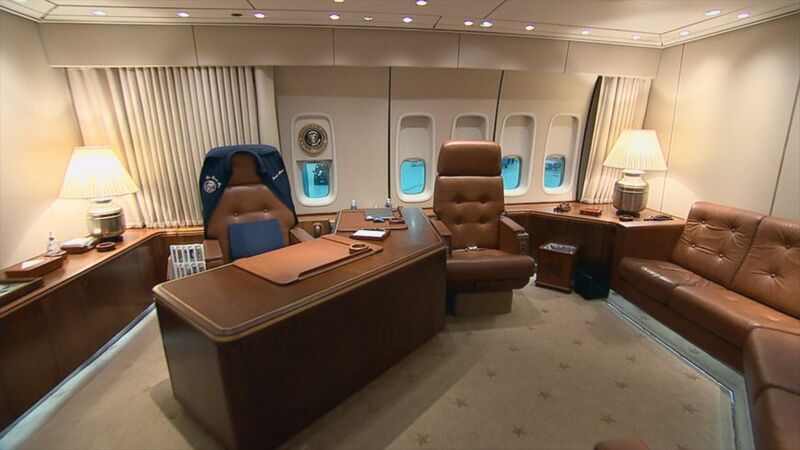 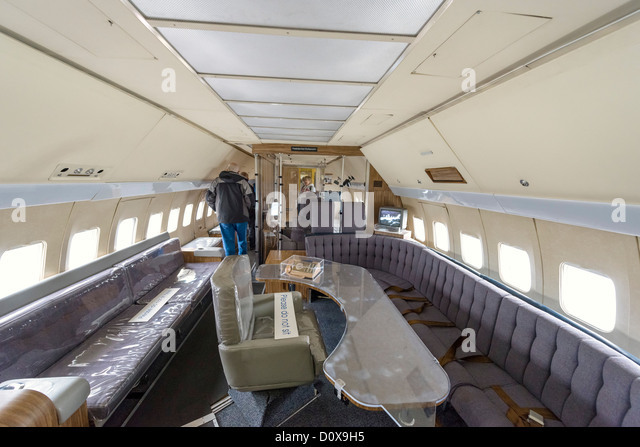 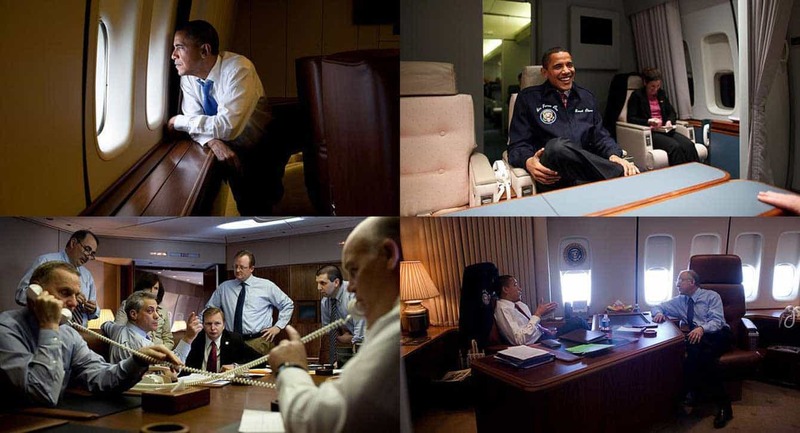 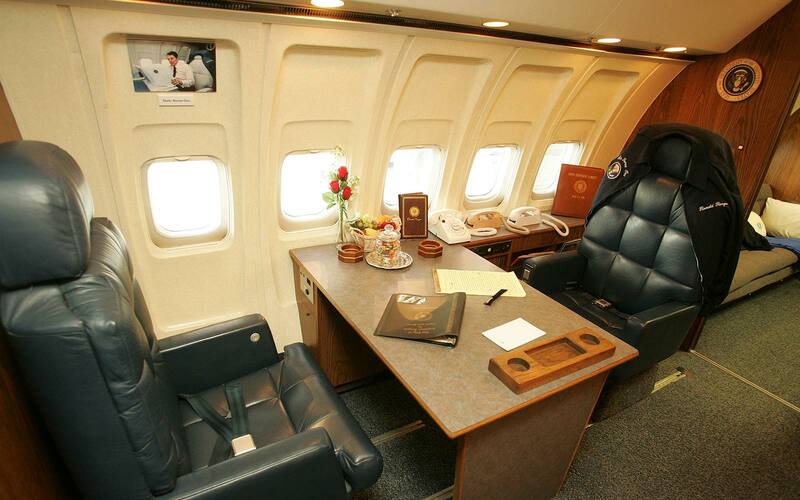 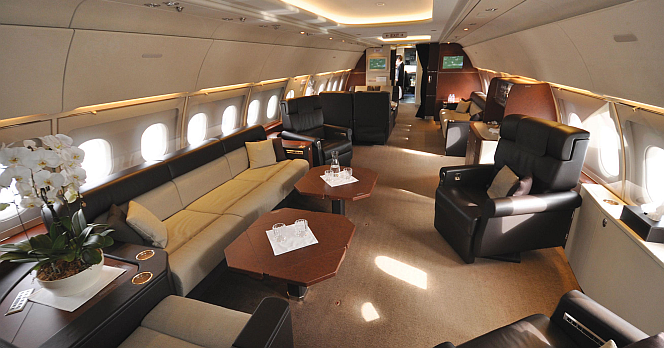 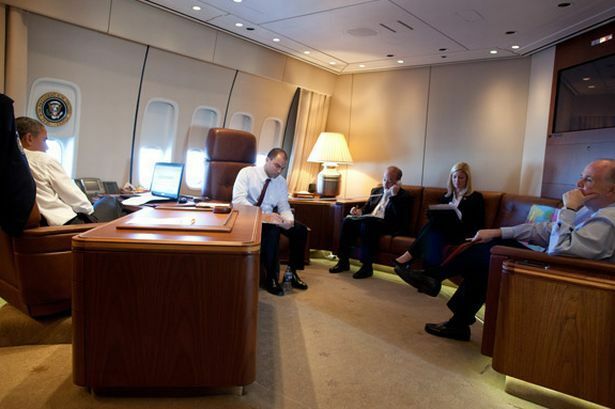 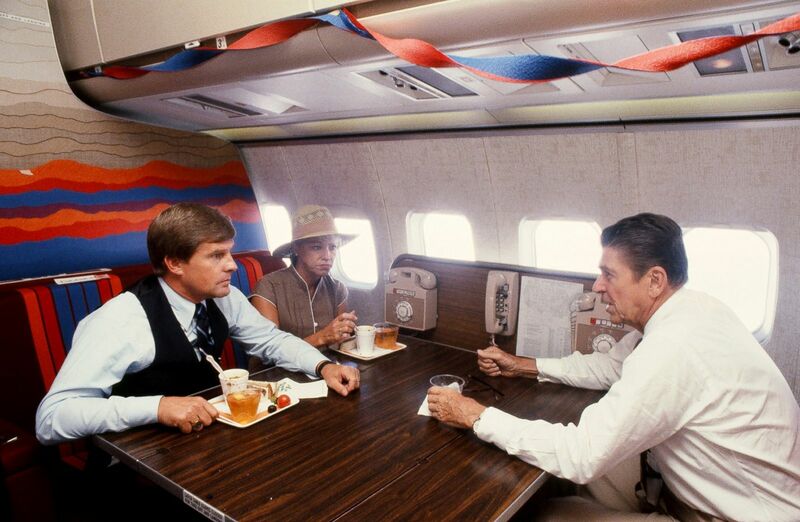 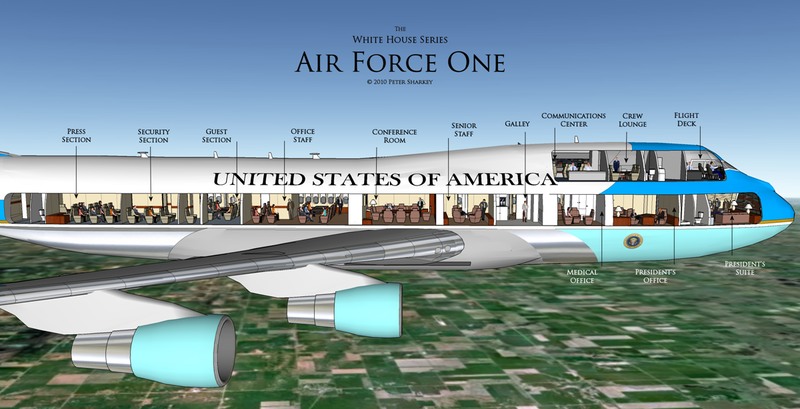 Air Force One - Interior | Flickr - Photo Sharing!